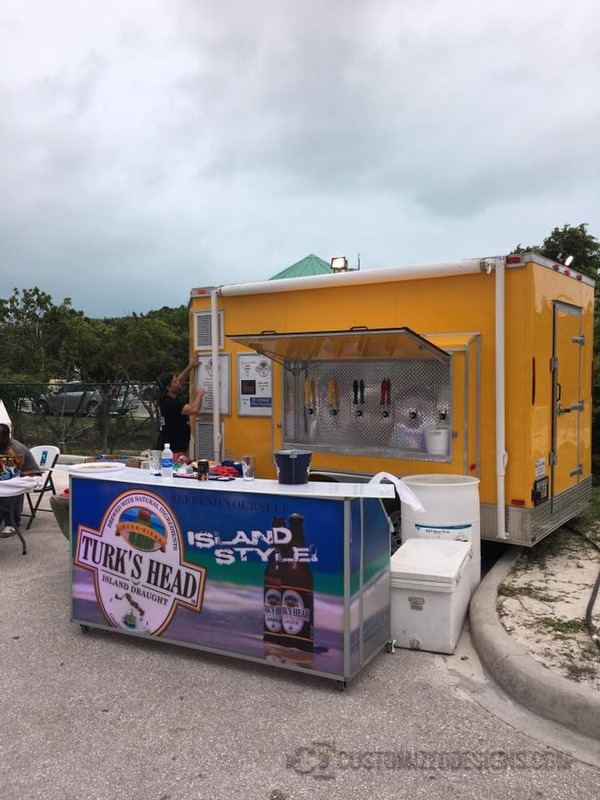 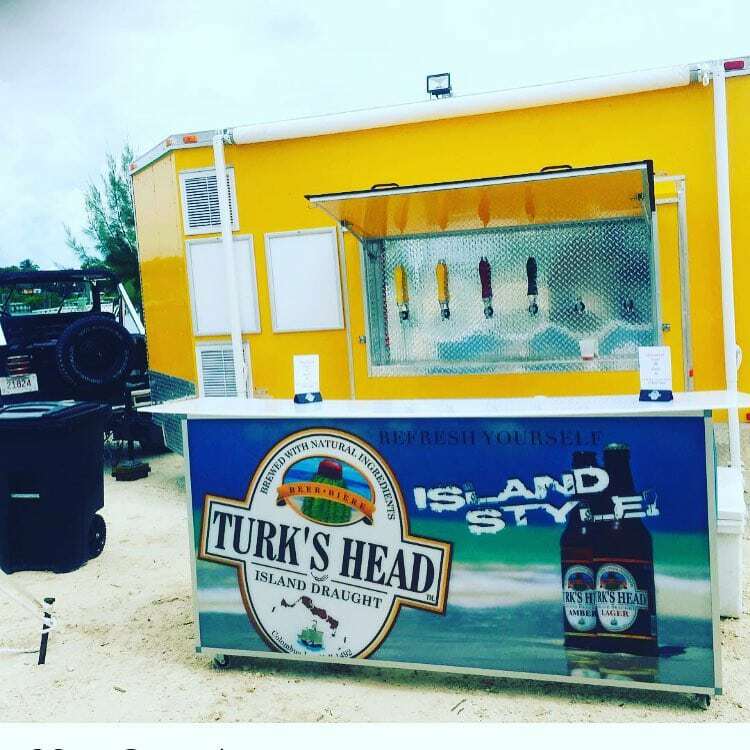 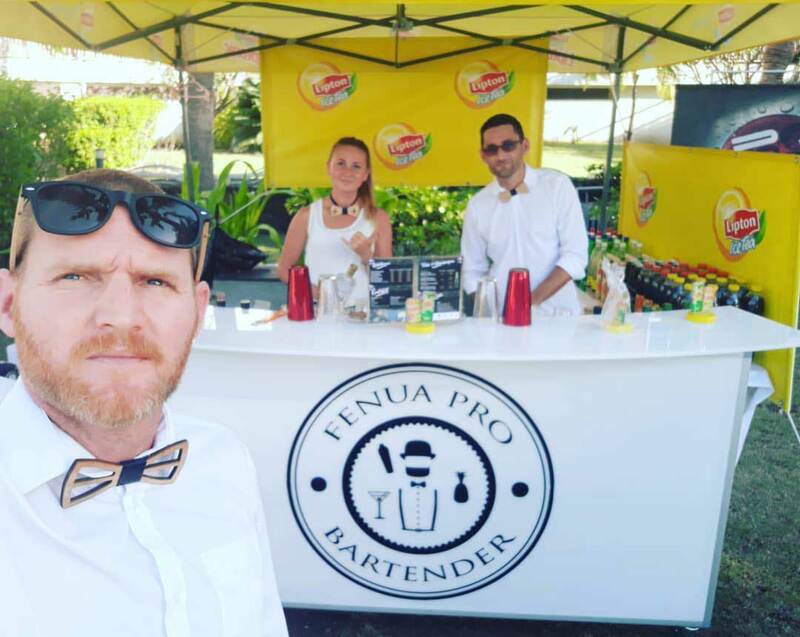 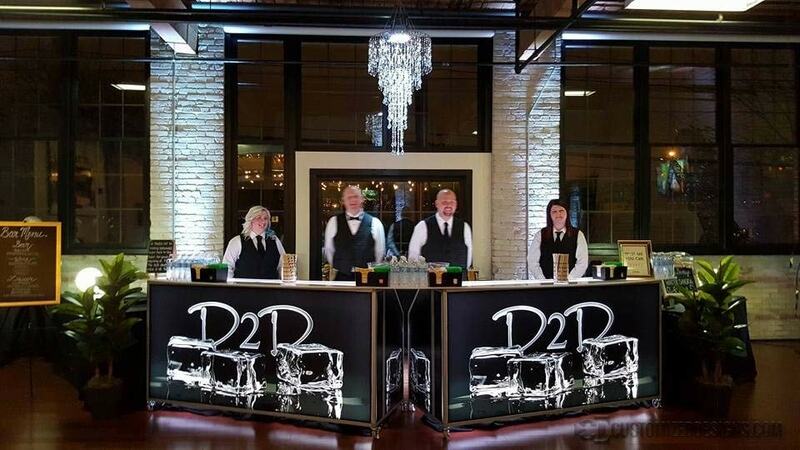 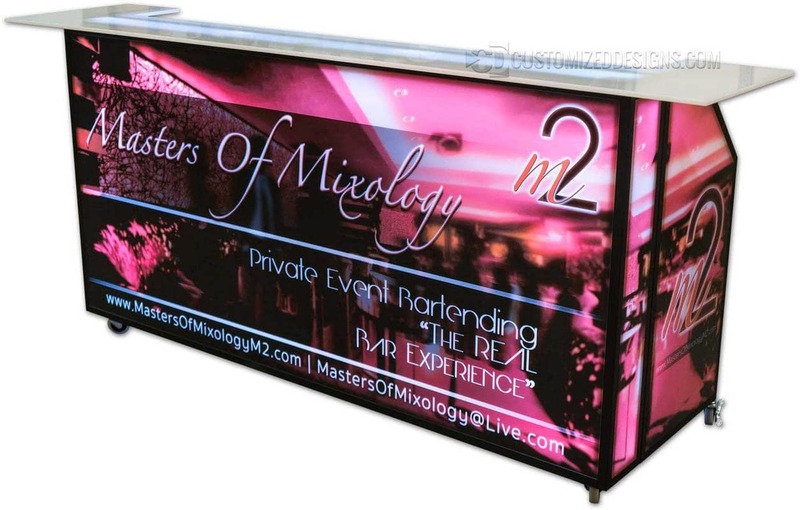 The 77 Mobile Bar is the not only the largest bar we offer but it’s the largest portable folding bar available anywhere. 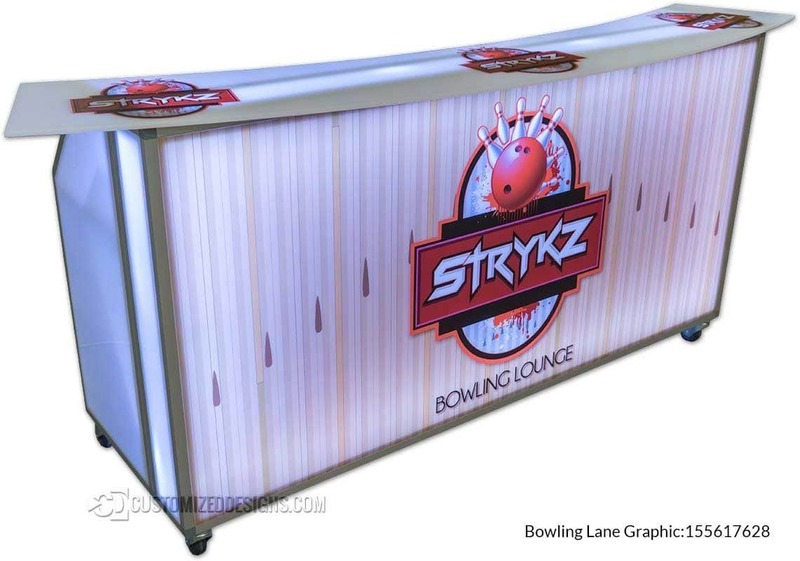 With its frame measuring at just over 6′ long and bar tops available that are 8′ long, there is no job this bar can’t handle. 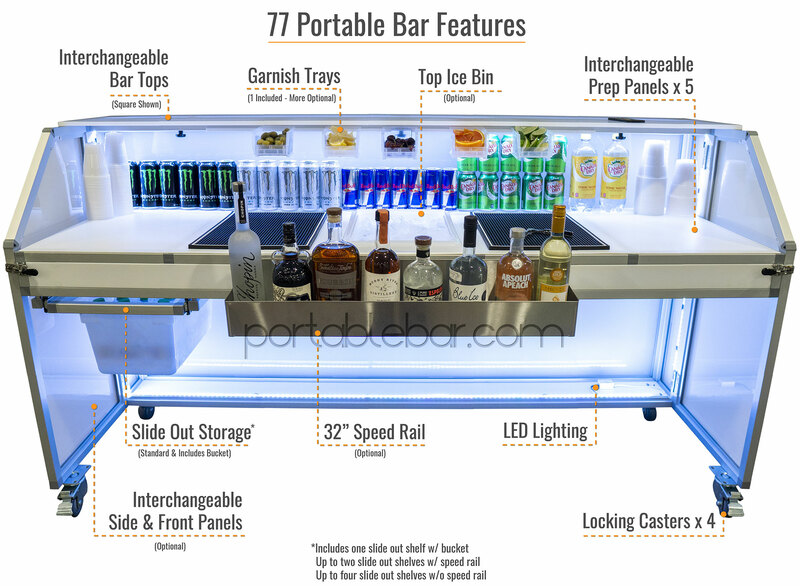 The 77 can easily accommodate three bartenders and with the option of five different interchangeable prep area panels, you can tailor it exactly to your application. 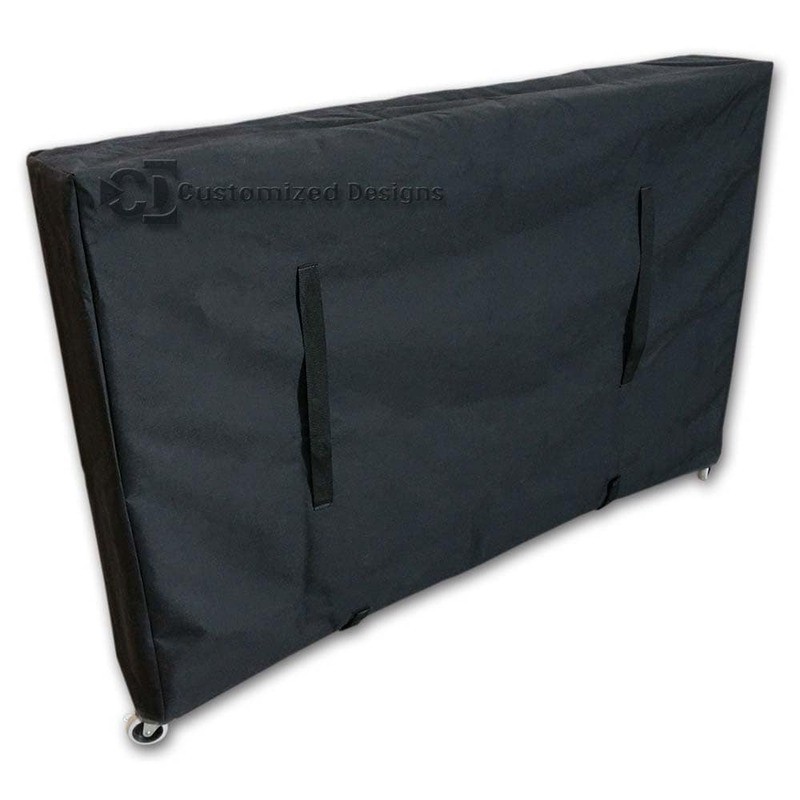 Even with its huge size, it’s still incredibly light weighing only 120 lbs. 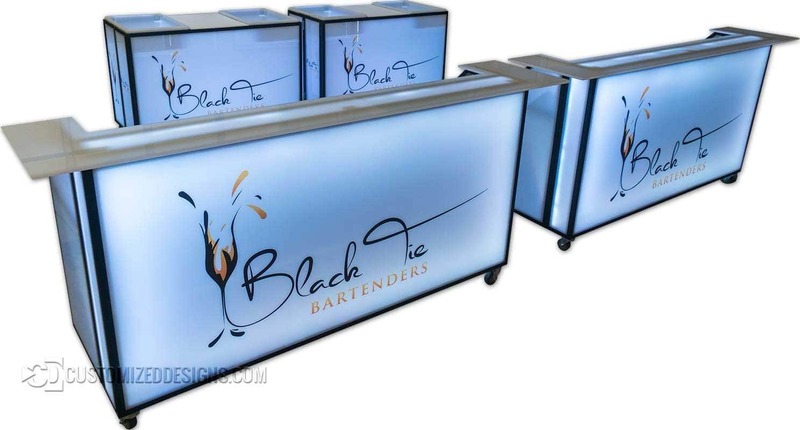 The 77 mobile bar assembly is extremely simple and can be done in just seconds. 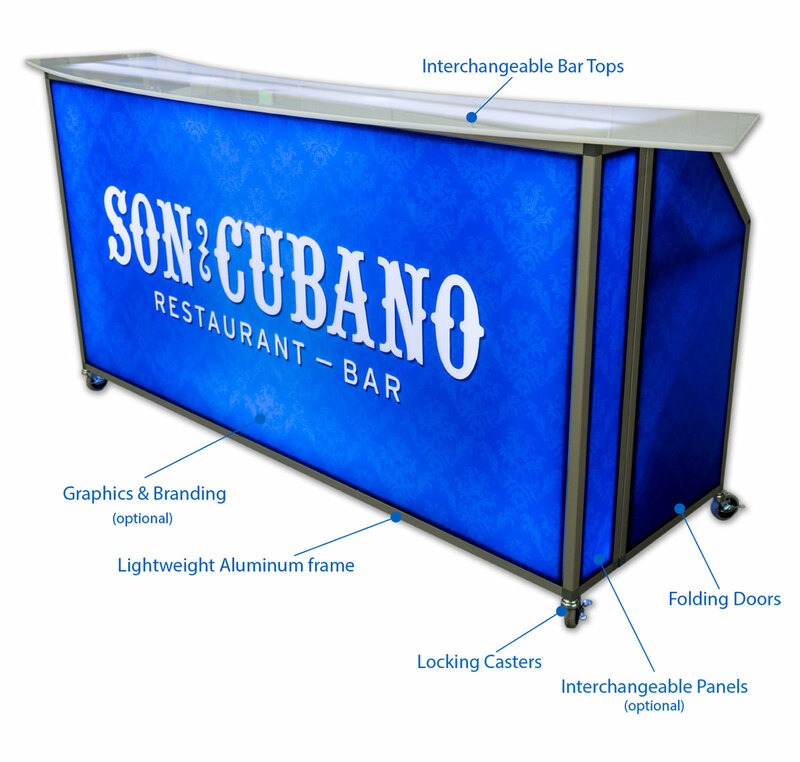 Because of our bar’s unique self-contained designed, everything easily folds inside the bar with the exception of the bar top. 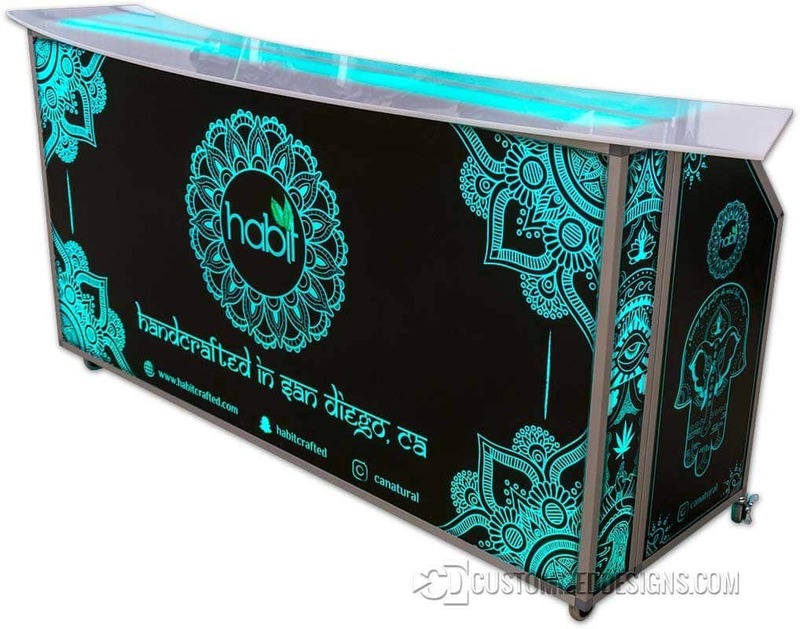 There are no bolts, pins or complex hardware needed to set up our folding bars and anyone can assemble it without instructions. 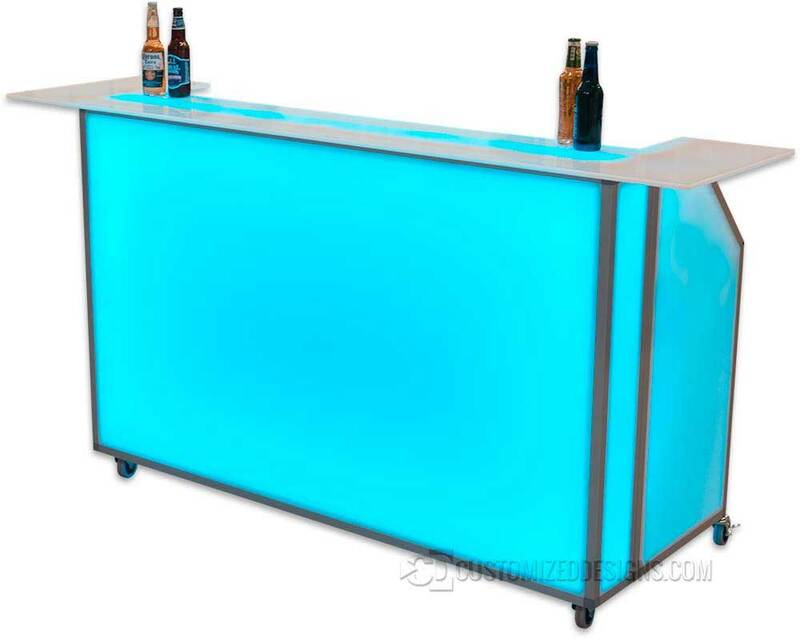 The 77 bar is made with lightweight yet durable aluminum and only weighs 120 lbs which means it’s extremely mobile. 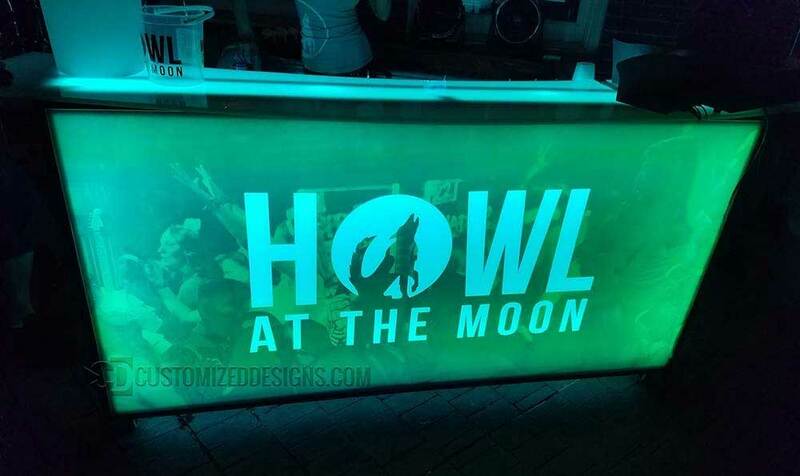 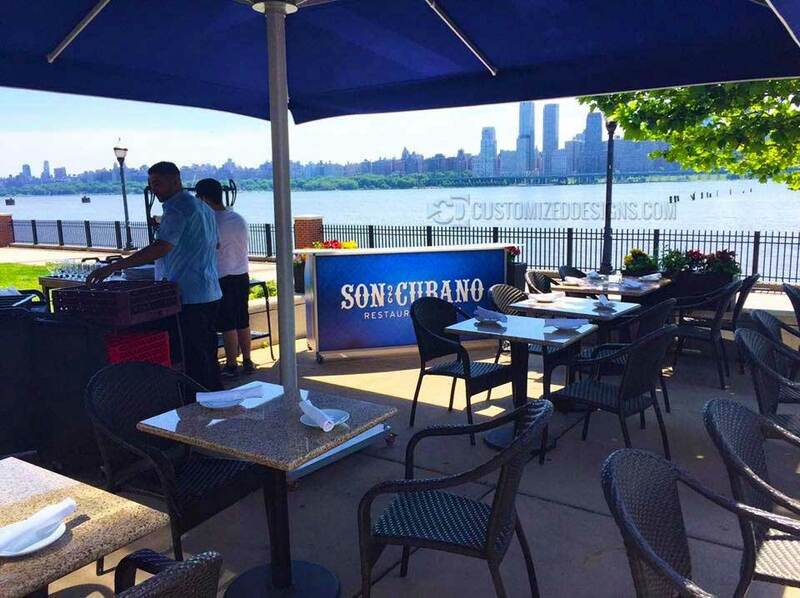 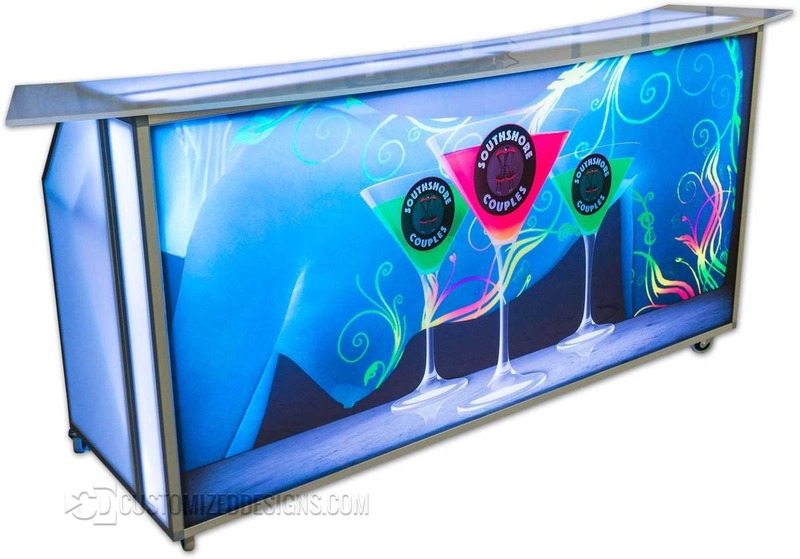 It’s perfect for large conventions, trade shows and satellite locations in bars and restaurants. 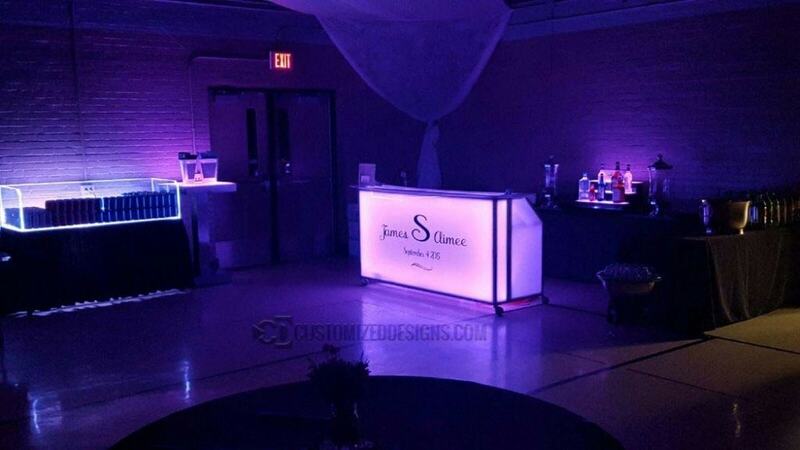 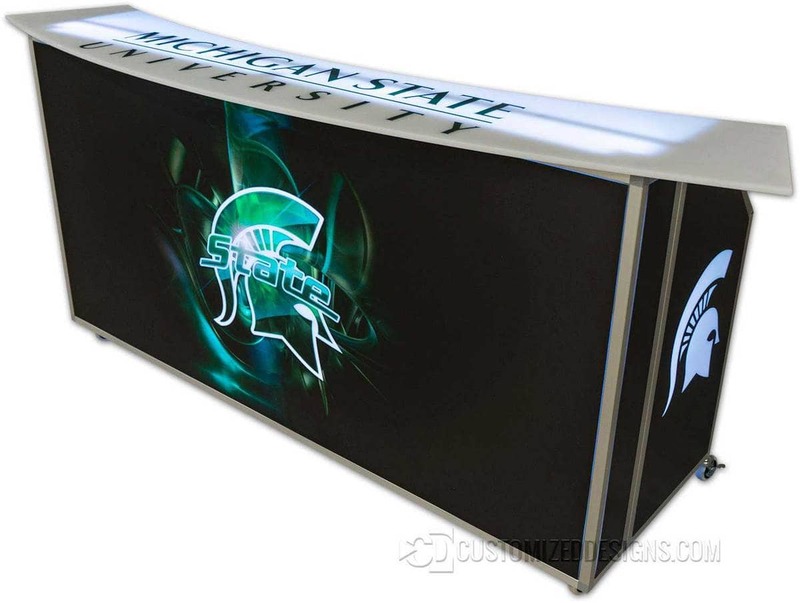 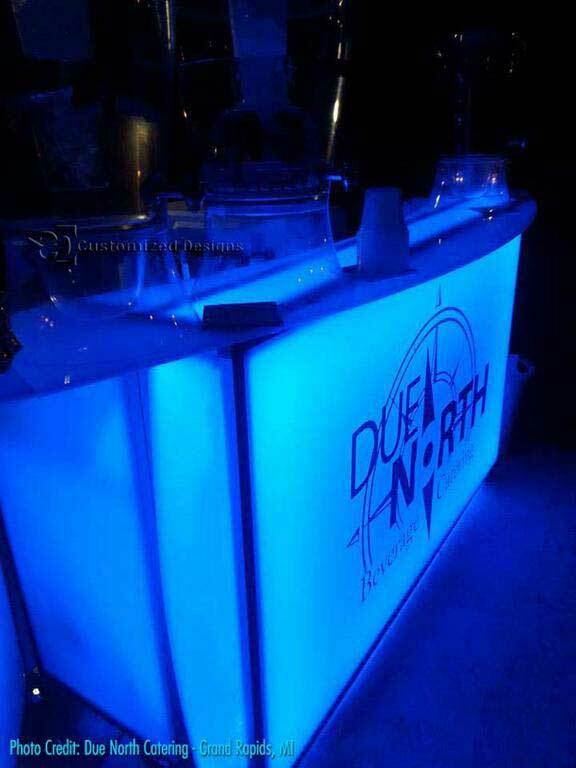 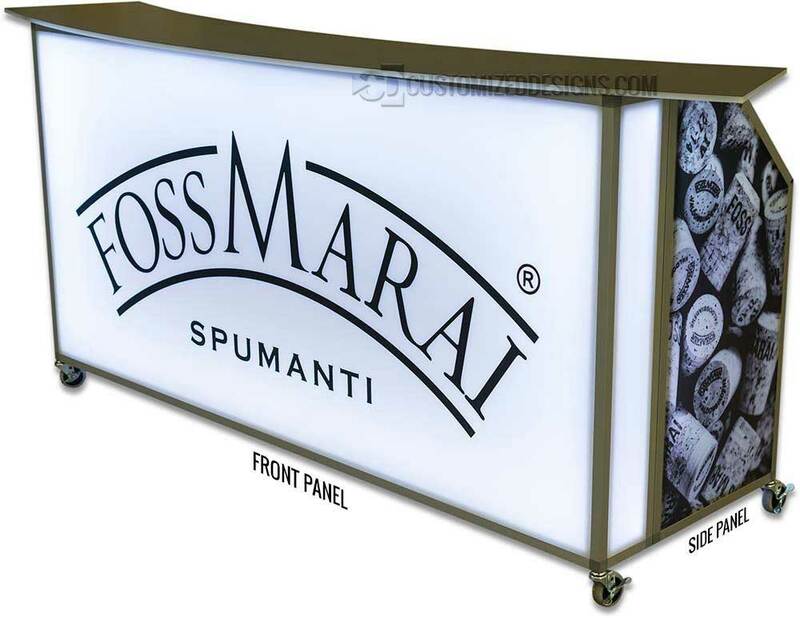 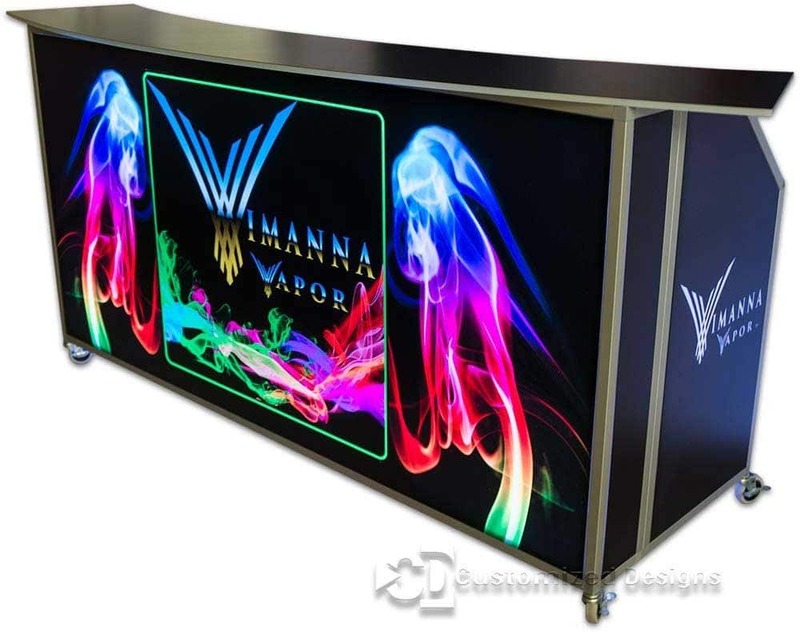 Wrap bar tops are the best way to maximize your useable bar top area and they provide a high-end look to the 77″ bar. 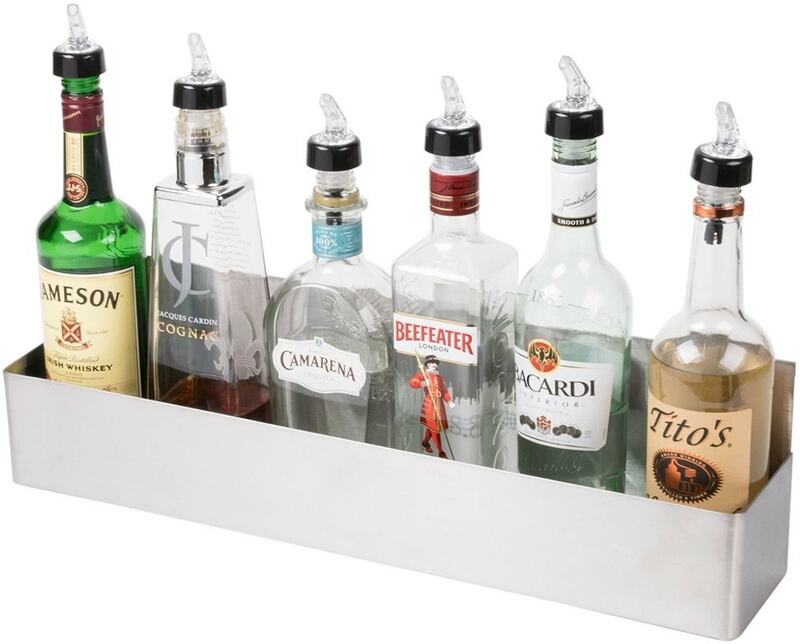 • The 77 bar stainless speed rail option includes (2) 32″ speed rails that hold approximately 15-18 bottles. 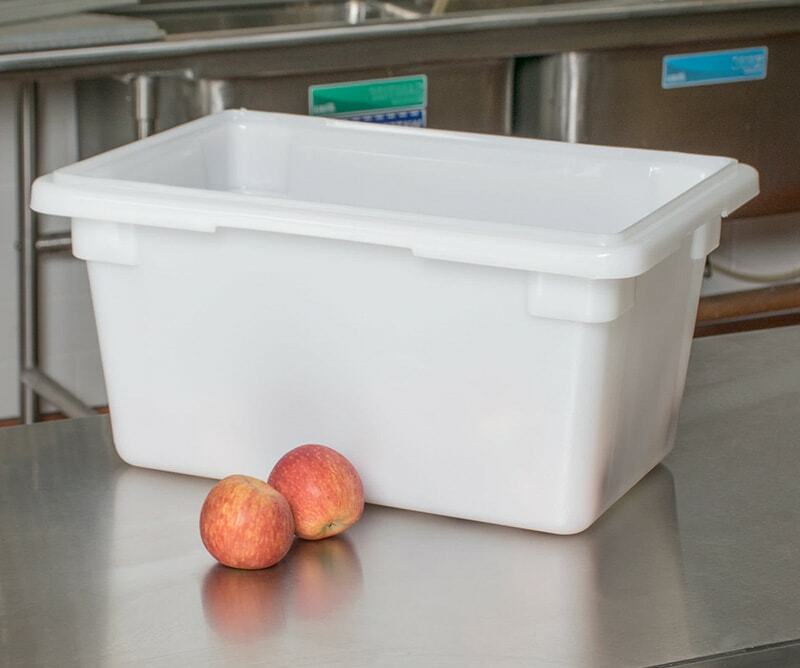 • When choosing the ice bin option, one of the five prep area panels will have a hole cut into it for the ice bin to fit in to. 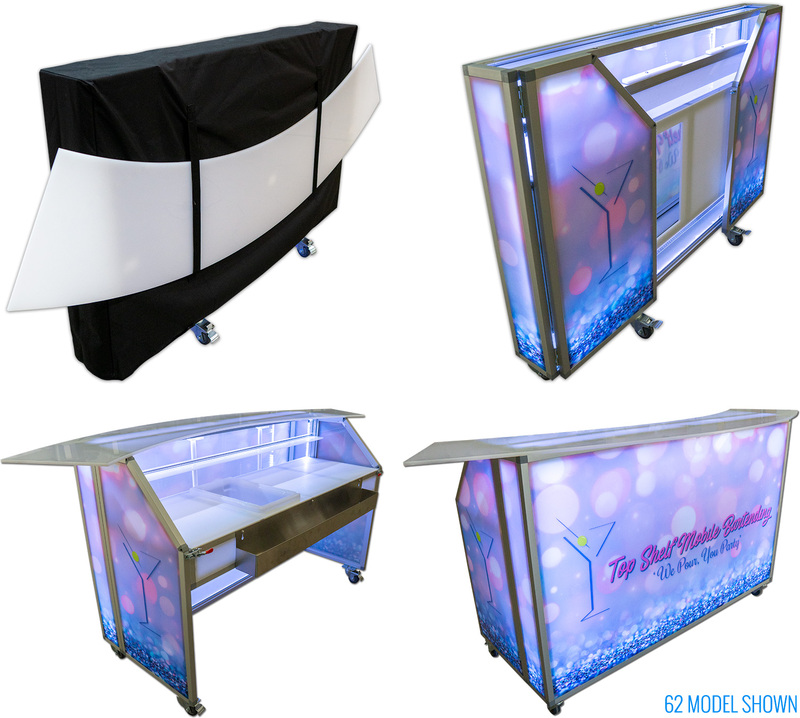 If you won’t be using the ice bin for every event, we recommend purchasing an additional prep panel to switch with the ice bin panel. 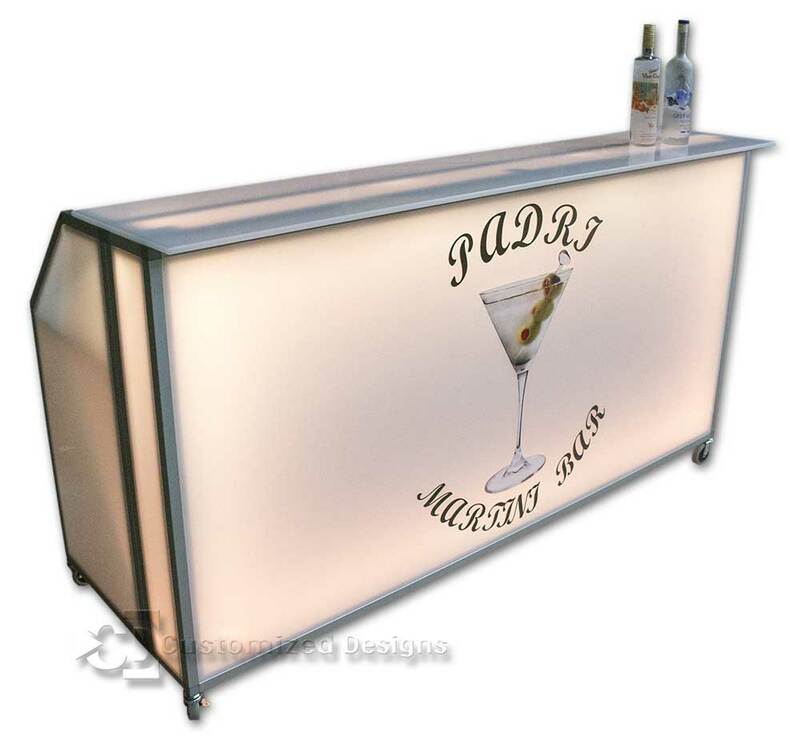 • 77 bar ice bins are compatible with the 48 and 62 bars. 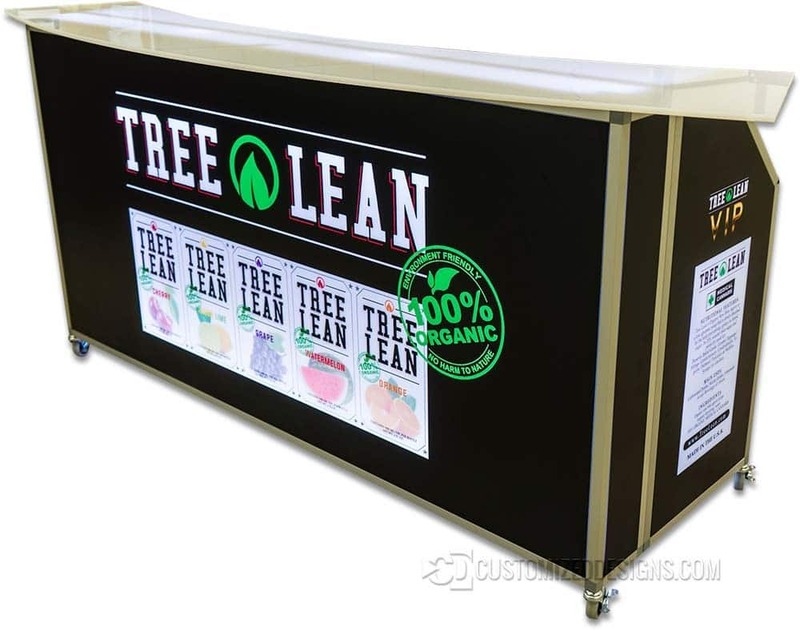 I have spoken with Autumn during my purchasing process. 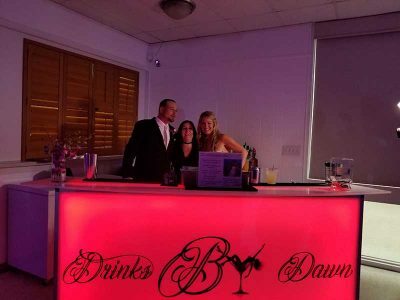 She is amazing!! 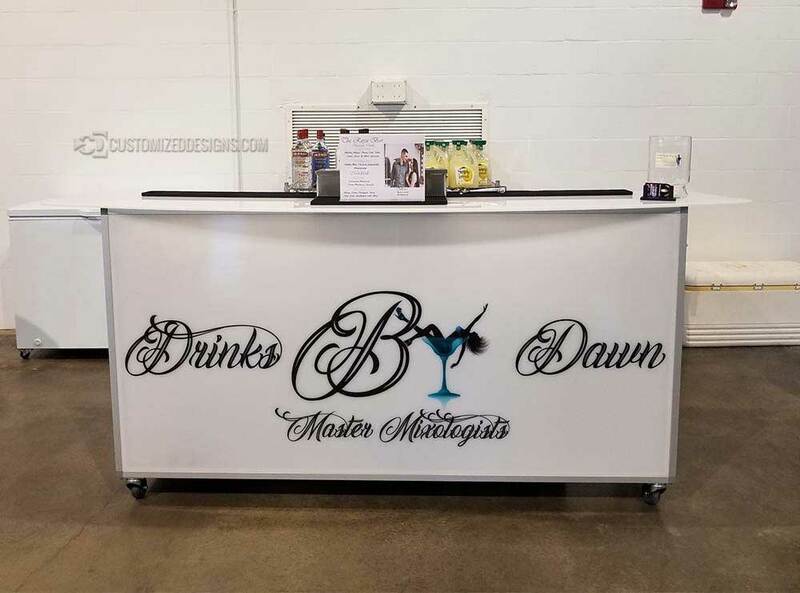 She has the best customer service, and overall helpful and caring in every way. 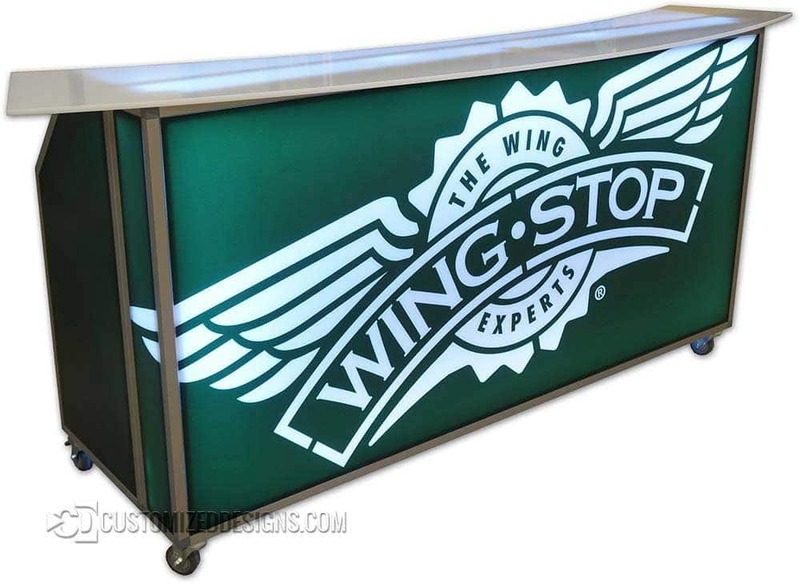 My ordering process was simple, and every question or concern was addressed. 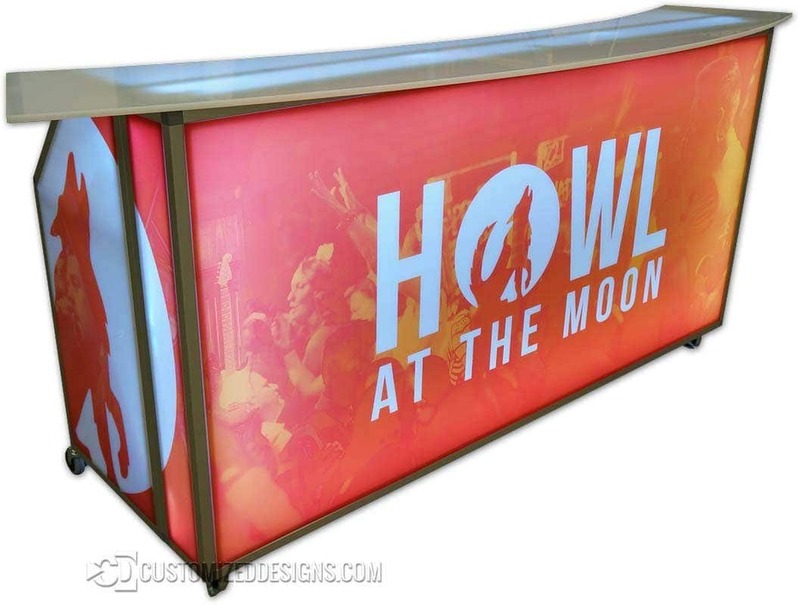 As for the product I couldn’t be happier with my purchase.